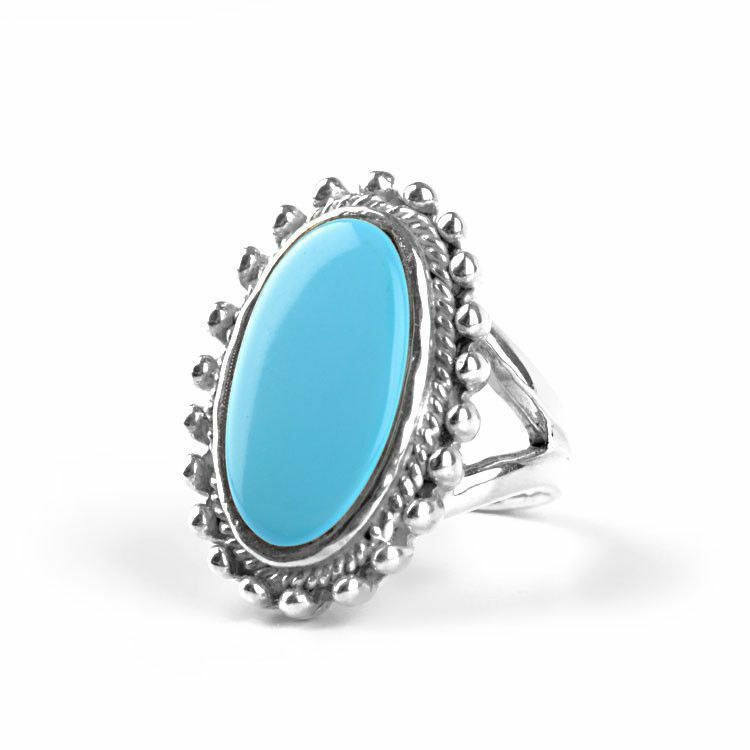 This ring is fun, comfortable, and stylish. 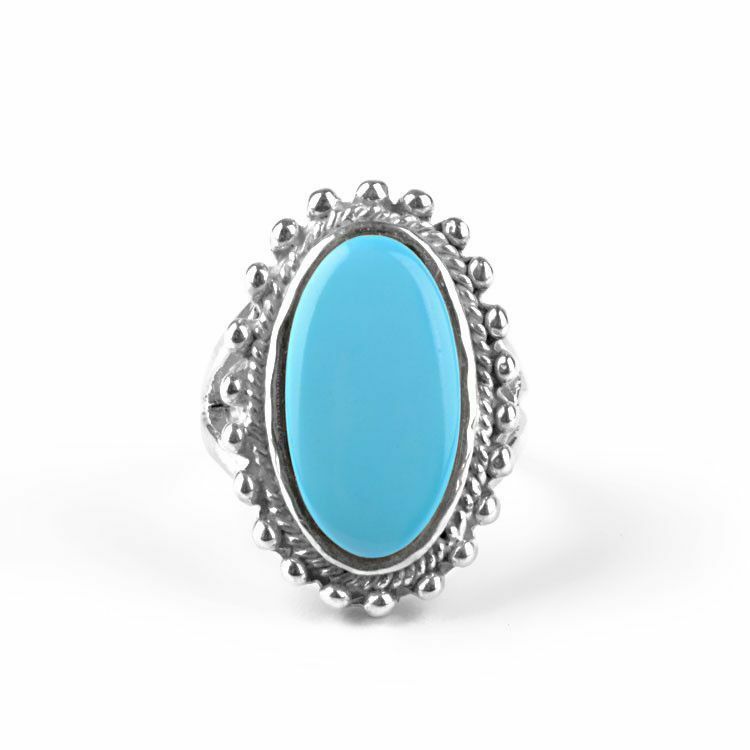 An authentic oval shaped turquoise stone (3/4" long, 3/8" wide) is surrounded by a small rope-like design and a border of silver balls design. 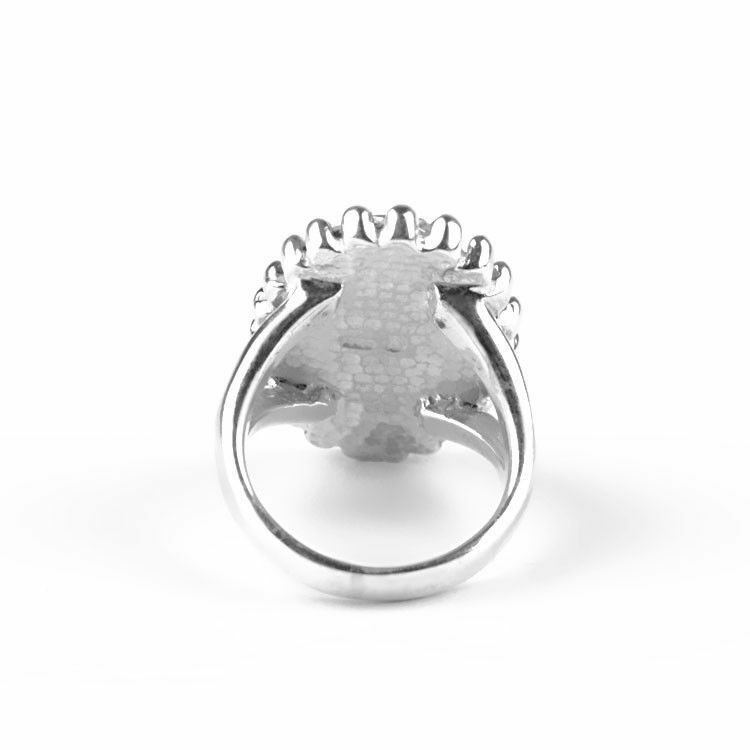 The entire ring is about 1" long and 5/8" wide. 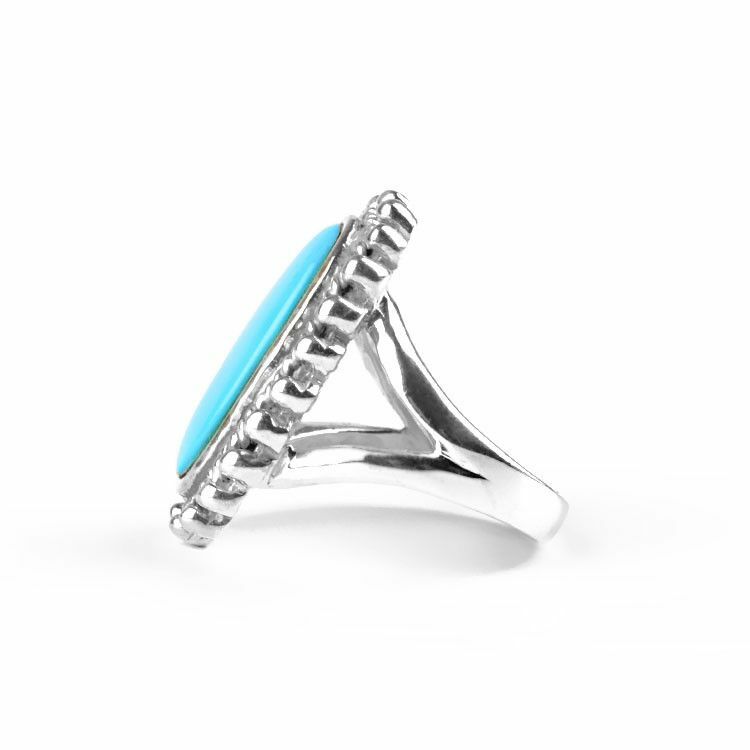 The ring has a low profile (meaning it does not stick up or out too much) and it is an excellent jewelry option everyday! Stone is 3/4" x 3/8"
Face is 1" x 5/8"